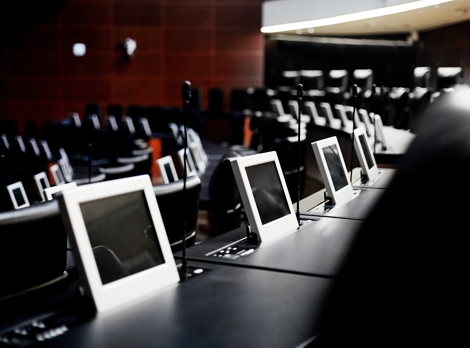 Each monitor is provided with a touch screen and integrates a voting system, microphone, speaker, a biometrical system and 2 USB connectors. In the new building, ARTHUR HOLM screens play an important role, since they provide the senators the latest technology in perfect harmony with the space planning and the interior design, with the capability to be hidden inside the furniture when they are not used, helping to optimise the space and leaving the desk free of any obtrusive element. 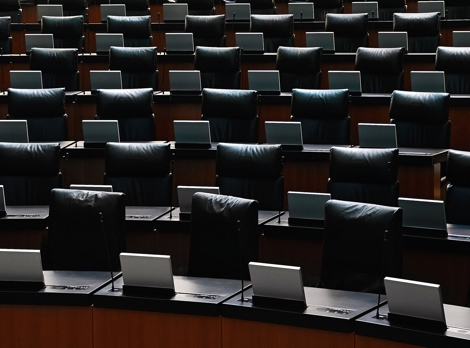 The senate has a sober and a modern style, not luxurious but functional. Each of the 128 desks is equipped with a PC and an ARTHUR HOLM screen that appears and disappears inside the furniture by pushing a button. Each desk has wireless and also an internal network. The seats slides front and back and can also be reclined. The Electronic voting system is projected on a big central screen, and when the results are not visible, the national Mexican flag is shown. The desktop cover plate supplied by ARTHUR HOLM has been specially designed to integrate a voting system, finger print reader, 2 USB ports, speaker and microphone. 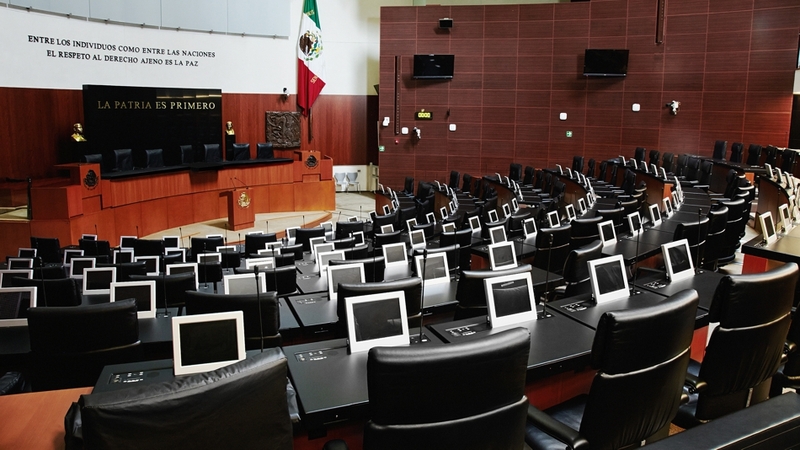 ARTHUR HOLM designed and developed a totally customised solution for the Mexican Senate. The monitor is a 12” with XGA resolution and touch screen; it has been built in a mechanised and anodised high end aluminium block and it provides a 20 degrees tilt when in working position. Inside the desk, there is a PC for each user.